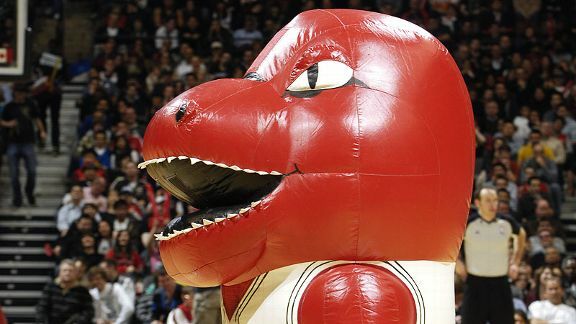 What do you do if you’re a pro sports team and your mascot looks like something out of nightmare and has the unfortunate tendency to frighten children? Assuming that you decide to make a change, there might be a temptation to do so quietly; after all, making a change means admitting that you made a mistake the first time around. 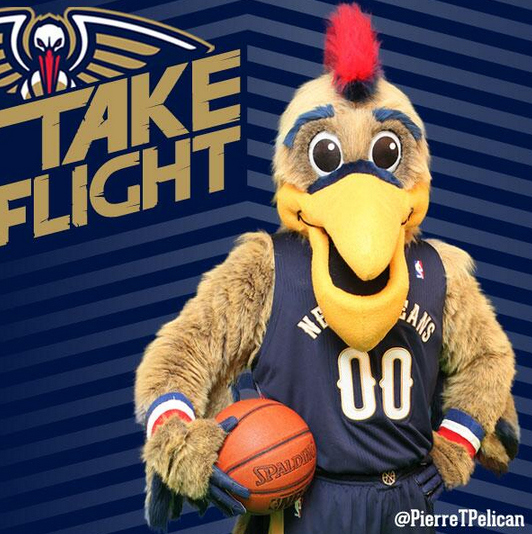 Well, if you’re the NBA’s New Orleans Pelicans, you instead eschew subtlety and turn your mascot redo into a tremendous PR campaign. Agh! He’s bearing down on me with maw agape and a crazy look in his eyes!! 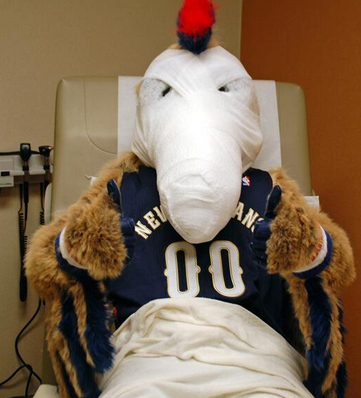 (Photo Credit: New Orleans Pelicans..
Later, the team released an image of a post-surgery Pierre, wrapped in bandages but giving the thumbs-up to indicate a successful procedure. 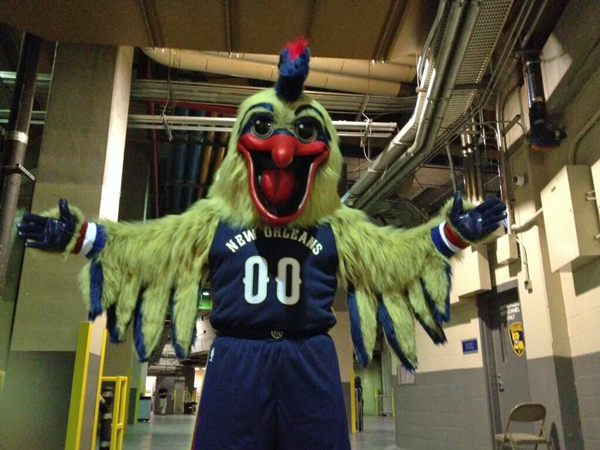 Finally, on February 12th the new-look Pierre (with sane eyes and a less threatening beak) was revealed to the world. The Pelicans’ Twitter feed also released a video chronicling Pierre’s journey. Pierre gets some help from his buddies – click on the image to see the two-minute video. I just love this story – the Pelicans could’ve quietly changed mascots, but instead they crafted an entertaining campaign that got people talking. World’s. Best. Mascot. (Photo from Grantland) On that note, this article is a terrific tribute to the craft of mascottery (mascotship? ).